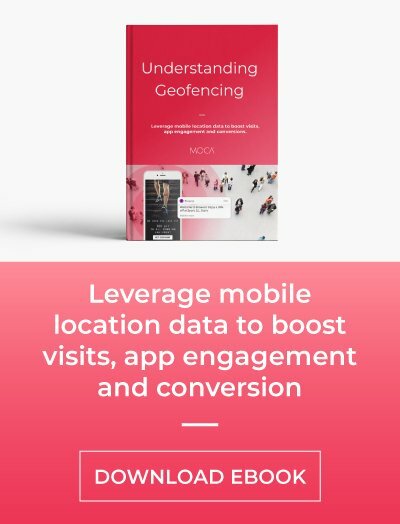 Today, we are happy to announce that MOCA supports Wi-Fi triggered mobile proximity campaigns for Android users. Three of the most popular location-based technologies: geofencing, Bluetooth beacons, and now Wi-Fi are available on MOCA platform. Wi-Fi access points can be used to trigger proximity notifications. This means that businesses can communicate with their mobile audience using their existing Wi-Fi infrastructure. To start with, let’s understand how it works. How does Wi-Fi trigger proximity campaigns? 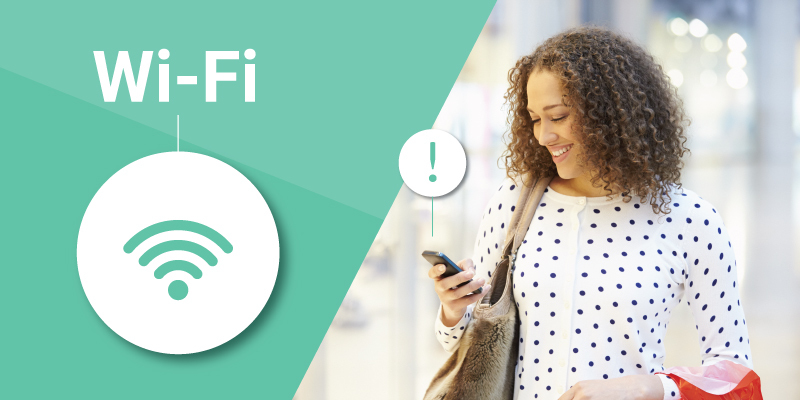 Wi-Fi networks are used in the retail industry to grant access to internet and detect the presence of customers in the store, or in the surrounding areas. This detection is anonymous as it only identifies the customers' smartphone MAC address. However, Wi-Fi access points can also be used as beacons, i.e. a mobile app can detect when a user enters or leaves the Wi-Fi signal area and trigger actions. For instance, a large retail store that already has Wi-Fi infrastructure could add in-store shopper engagement by delivering relevant messages using mobile app and without deploying additional devices. Leverage your existing Wi-Fi network to trigger actions, avoiding additional infrastructure costs for venue owners. Higher audience coverage, as almost everybody has Wifi turned on. Doesn’t require Bluetooth, so mobile users don’t need to turn on Bluetooth in order to receive rich media messages on Android. Detection speed: Scanning for Wi-Fi on Android devices has less frequency than BLE beacons because of battery concerns. Android only: It is only available for Android devices because Apple does not allow for active Wi-Fi scanning on iOS. Accuracy: the range of Wi-Fi signals is larger than BLE beacons, so location accuracy is lower. However, it is still better than geofencing accuracy. To take advantage of Wi-Fi based triggers, we have developed an adaptive Wi-Fi scanning technique that overcomes Wi-Fi limitations. MOCA SDK has an optimal balance between Wi-Fi detection time and battery consumption. By combining passive and active scanning with location-based app wakeups, our SDK delivers a reliable Wi-Fi triggered proximity notifications. Easy to use. 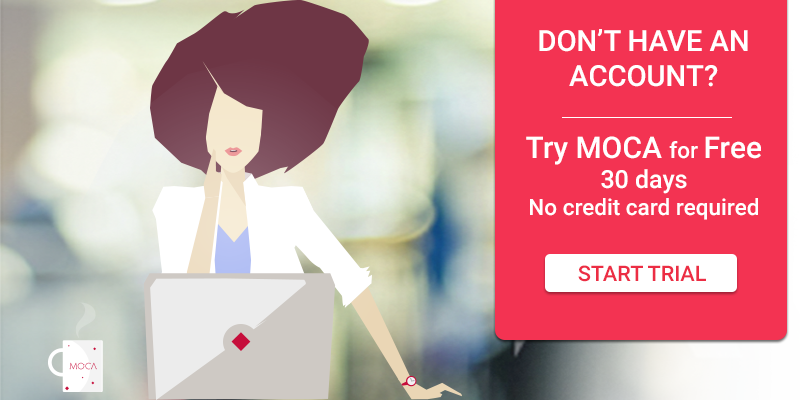 You just need to get MAC address of your access point, register it with MOCA and you can start your Wi-Fi triggered campaign. Works as BLE beacons: Our platform allows you to deliver in-store communications via Wi-Fi event if the app is not running. For example, when a user enters the proximity range of a Wi-Fi network, MOCA SDK wakes up the app and triggers rich media messages in the same way as BLE beacons do. No battery draining: Because we care for mobile users as you do, MOCA best-in-class SDK enables your customers to receive contextually relevant messages without battery concerns. Range control: Allows you to limit the Wi-Fi proximity area by defining RSSI threshold. 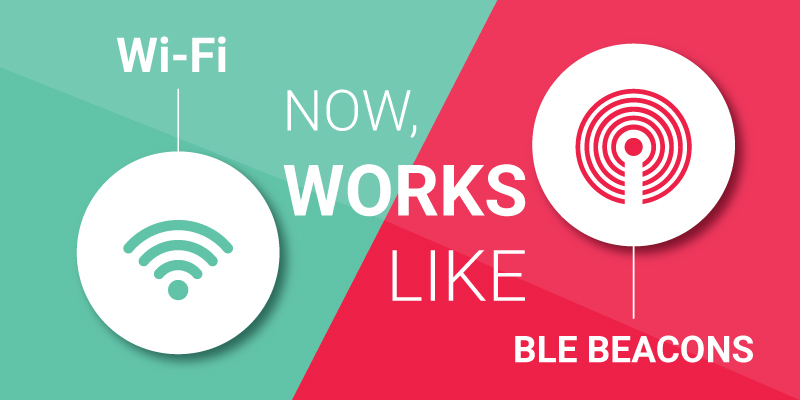 But … what happens when you set up both Wi-Fi access points and BLE beacons in your venue? Could they be used together? The answer is yes! MOCA SDK supports both Wi-Fi and Bluetooth signals simultaneously to deliver proximity notifications. 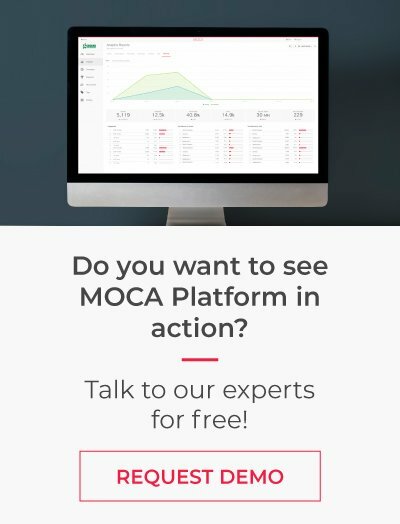 You can schedule mobile communications over BLE only, Wi-Fi only or both and MOCA takes care the messages reach users exactly once so the users will not receive duplicated experiences. Getting started is simple.  Open MOCA Console and navigate to beacons. Click on the New Beacon button and choose Wifi Beacon provider. Next, type the MAC address (i.e. BSSID) of your Wi-Fi access point and choose the range threshold. Finally, associate the Wi-Fi beacon with a geofence that reflects the venue where your device is physically located. After that, you’ll be ready to create and deliver amazing mobile experiences via Wi-Fi. Have fun!